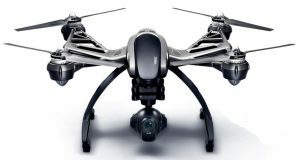 This Yuneec Typhoon Q500 4k review looks closely at the drone, the CGO3 4K camera, ST10 controller and Steady Grip. Also included are Q500 4k stunning aerial footage and camera settings. 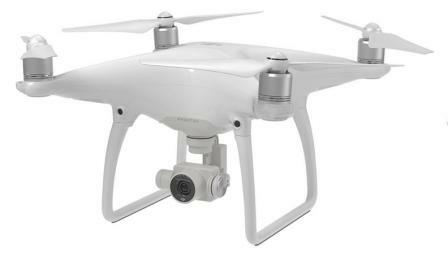 Just as important we look at what comes with the quadcopter and the latest Yuneec Q500 4k price. The Q500 4k Pro first came on the market back in Summer 2015. With it’s high specification and a number of firmware updates adding new features, the Typhoon Q500 4k is still ahead of many newer drones which have come on the market. The Yuneec customer service is definitely well ahead of many if it’s competitors. Yuneec began making remote control toys way back in 1999 from their Hong Kong factory. By 2003, they had international offices including Los Angeles, Hamburg and the UK. In 2010, Yuneec were awarded with the Lindbergh Electric Aircraft Prize (LEAP) prize. In 2014, they brought their combined innovation, research and development to bring their first quadcopter to the market. In 2015, the massive chip manufacturer Intel invested millions in Yuneec. They certainly are a manufacturer of the highest quality drones and you can see that in the Q500 4k specifications and features. Since then, Yuneec have released a number of quadcopters which cover the commercial, professional and hobby sectors. In 2016, they released the Typhoon H and Breeze. In brief, the Typhoon Q500 features a 4k camera, a 3 axis gimbal and the ST10 5.8 GHz controller giving long distance realtime digital video from the quadcopter back to the controller. This drone combines a 2.4 GHz radio control transmitter with a 5.8 GHz digital video link along with a built-in Android touch screen, creating a UAV which is perfect for aerial photo and video capture. The Q500 4K comes with everything you need to fly. All you need to do is unpack everything, charge the Q500 battery and ST10 ground station controller and you are ready to fly. Below we have all the information, features and specification on the Q500 4k quadcopter, the ST10 controller, CGO3 gimbal camera and the Steady Grip handheld. We have also some terrific 4k footage, camera settings, price information, what’s in the box and a Q500 4k review video. 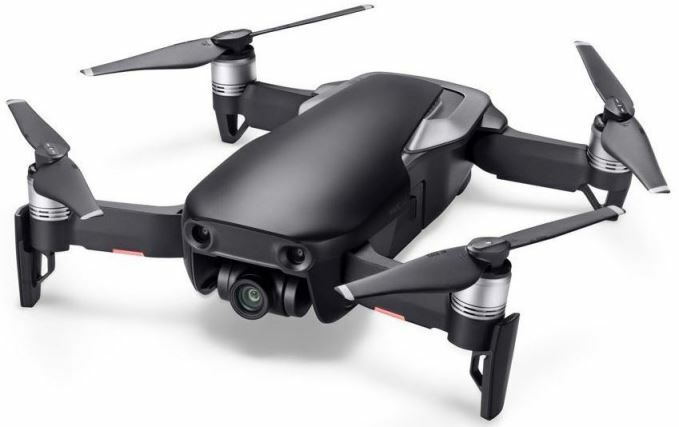 The Yuneec Q500 airframe weights is 3.8 lbs (1700 grams) and it’s dimensions are 16.5 x 16.5 x 8.3 inches (420 x 420 x 210 mm). 25 minutes of flight time and the versions with the aluminium carry case come with two batteries. So you will have 50 minutes of flying without having to buy another battery. The Q500 battery price is approximately USD 45.00. The video transmission range in optimum conditions and according to the documentation – FCC Standard up to 2,624 feet (800 meters) and CE Standard up to 1312 feet (400 meters). Smart – When the Smart Mode is switched on, the Q500 4k will always move in the direction the right hand control stick is pushed relative to the pilot, no matter which way the front nose is pointed. In other words, if you push the stick to the left, then the Typhoon will always move to the left. Angle Pilot – When the Angle mode is on, the Q500 will move in the direction the control stick is pushed relative to the front nose of the quadcopter. It is like you were actually flying from inside the Q500. Follow Me – When Follow Me is enabled, the Typhoon Q500 4K is linked to the pilot who is holding and controlling the ST10 ground station controller. The Q500 quadcopter will then follow you. Watch Me – When Watch Me is enabled, the Q500 4K camera stays pointed at the pilot holding the ST10 c, keeping them in focus and in frame, no matter which way the drone is maneuvered. Return Home – Switch to Return Home Mode and the Typhoon Q500 4K will fly back towards the location of the pilot holding the ST10 ground station. It will automatically land within 13 to 26 feet (4 to 8 meters) of the pilot. The Yuneec ST10 controller with 5.5” LCD touchscreen for FPV is a remote control transmitter and receiver in one. It gives you full control over your Typhoon 4k drone while flying and lets you take photos and videos with ease. The 5.5 inch touchscreen display allows you to track live images from the Q500 camera. It is very easy to control the CGO3 gimbal and adjust the camera settings. The Yuneec ST10 Ground Station displays real-time telemetry data during flight, including flight mode, altitude, speed over ground, distance from home, camera status, GPS position coordinates and aircraft battery status. There are also controls to adjust video resolution and white balance. Light exposure can be controlled automatically or manually, including ISO and shutter speed. The buttons on the ST10 controller allow you to take photos and videos directly via the remote control. You can take photos, start, stop videos and adjust the camera angle. Click on this link for Q500 4k and ST10 Ground Station firmware updates. Yes. You can find the Yuneec Q500 4k manual and also the ST10 Ground Station manual on the same page as the above firmware updates. Yes. It is easy. 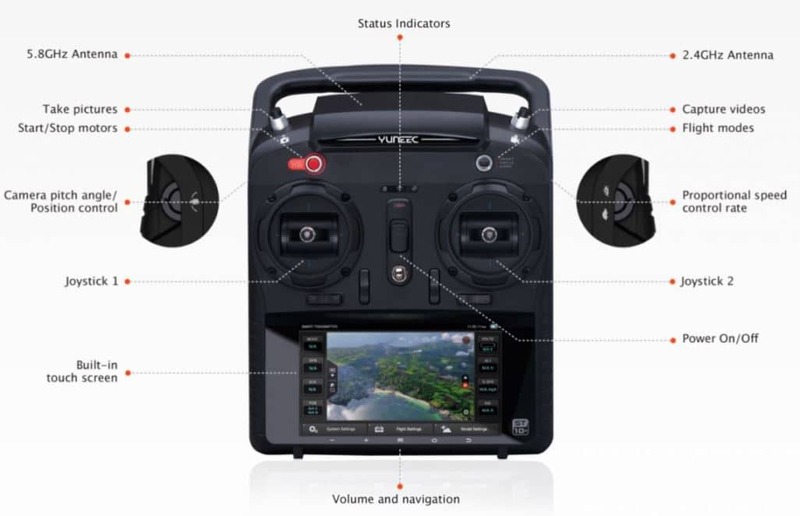 You can find many Yuneec Q500 4k parts here. The Q500 ST10 Ground Station is a remote control and receiver in one. It gives you full control over your Typhoon Q500 4K quadcopter and the CGO3 gimbal camera while flying. It has many setting to allow you to take photos and videos very easily. The 5.5-inch touchscreen display allows you to track live images from the camera and adjust the camera settings among many other things. The ST10 ground station shows realtime telemetry data on the screen during flight. The Q500 telemetry data includes flight mode, altitude, speed over ground, distance from home, camera status, GPS position coordinates and aircraft battery status. There are also controls to adjust the Q500 camera settings such as video resolution, white balance, light exposure including ISO and shutter speed. The CGO3 camera has an integrated 3-axis gimbal allowing for super smooth aerial video in 4K / 30 FPS UHD or 1080p /120 FPS for slow motion. You can also take stunning 12 megapixels aerial photos and store in DNG RAW or JPEG formats. The Yuneec Typhoon CGO3 has a 115° field of view lens giving excellent image quality and no barrel fisheye distortion. It has a digital video down-link so you can view and follow the live images from the camera via the ST10 ground station. With the ST10 ground station, you can control the angle tilt of the camera to 90° downwards in a vertical direction. Here is a nice video which show you the best CGO3 4k camera settings. Even better than reading about the Q500 camera settings is to see some real Q500 4k footage. Here is a beautiful Yuneec Typhoon Q500 4k footage of Slovenia. The picture quality and stability of the Q500 4k drone and CGO3 gimbal camera is superb. This video really proves how great this Q500 4k quadcopter is. It’s a terrific video and very scenic. I’m not too sure about the music in the video but you can turn it down. Here is another terrific video showing just how good the Typhoon Q500 4k quadcopter, gimbal and camera is. 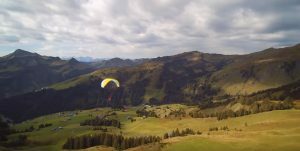 The location was the Alps and it an absolutely stunning video of the highest quality. The CGO3 camera can be detached from the drone and attached to the Steady Grip handheld gimbal. This ensures ground shots are as smooth as those taken from the air. The CGO3 mobile application allows Steady Grip users to capture images, shoot videos and control the CGO3 gimbal camera. The latest free CGO4 app for Android and iOS devices is a Ground Control Station which allows you stream live images from the camera directly to your smartphone. The CGO4 app allows you to customize the photo and video settings. It has functions to control the exposure, adjust the sensitivity, white balance , shutter time and more. There is also preset White Balance modes such as Sunny, Cloudy, Fluorescent, Incandescent, Sunset, Sunrise and Auto. For the CGO3 app to work on your cellphone, it must be connected to the CGO3 camera. The Typhoon Q500 4k price starts at around the USD 520 mark. However, there are many Typhoon Q500 4k bundle offers which will give you many additional parts, upgrades and accessories to go with the quadcopter. Now to finish off, here is a terrific Yuneec Q500 4k review video. The quadcopter has many more new features since this video as their have been a few Q500 4k firmware updates since.